Here in the US, we’re preparing for a holiday weekend and getting ready to flip the calendar to a new page. That means it’s time to prepare to highlight a new set of core words to keep our AAC learners moving forward and expanding their use of AAC throughout the day. 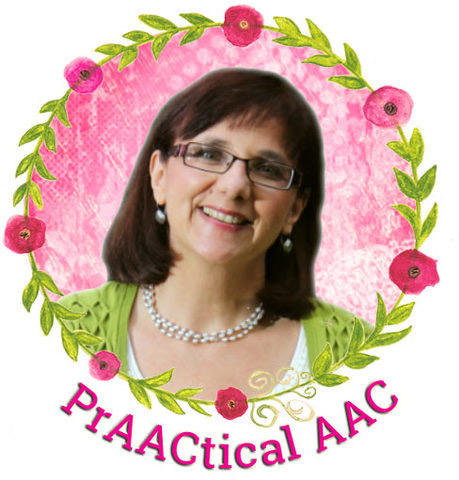 If you’re helping an AAC learner become more capable in using high-frequency words to express themselves, we hope you join us in highlighting the June words and creating opportunities for our AAC learners to use them throughout the day. Whether you are following along with the 2013 Year of Core (Set 1-12 words/month) or the 2014 A(nother) Year of Core: (Set 2-16 words/month; Different than the previous year’s core words), or just getting started, here are some helpful resources. Our June words are listed below. Note: These are large files that have sets for different versions of WordPower. We can teach and model these individually, and also in sentences. Tim DeLuca shares some ideas to get us started (download here). Reading is such a great way to build experiences with core vocabulary. Here are some book suggestions if you are looking for ways to incorporate core word practice into your storybook reading with AAC learners. Looking for more ideas? 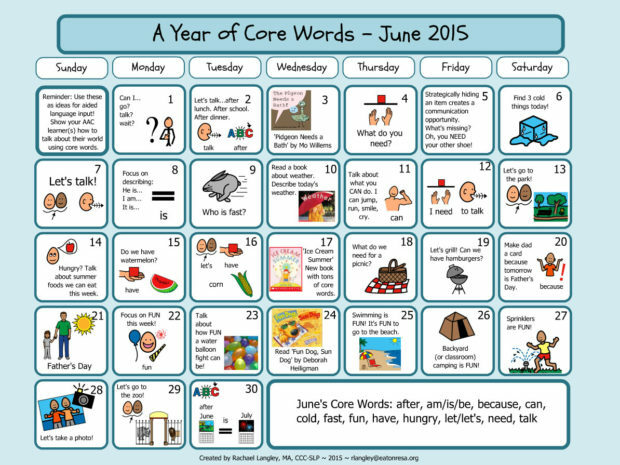 Check out the calendar Rachael Langley shared with us for the Set 1 words (2015 June Calendar of Core Word Ideas). 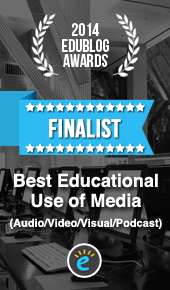 We appreciate the support of Heidi LoStracco, Brian Whitmer, Eric Sailers, Tim DeLuca, Lisa Timm, Nancy Inman, Barbara Fernandes Alison Wade, Eric Sailers, Russell Cross, Gail Van Tatenhove, Bill Binko, Rachael Langley, and all the others who created these resources and allowed us to share them. Your blog has been an amazing tool for us – thank you! I know there are many options for AAC but do you have the core word templates for LAMP? I didn’t see it listed. Thank you in advance.